UFOs exist. But when asked if they’re angelic, demonic, or of concerned extraterrestrials more responsible than us, Vigileaks always replies with a resounding, “Yes!” That is, there can be no doubt they are of multiple sources. The ancients, the Nazis, and the globalists have them. But they can’t boast about owning the franchise. Satan and his minions can only counterfeit. The dark side can only counterfeit speaking in tongues, miracles, etc. The Satanists know this. This is why Satanists steal hosts from Catholic churches for their own services. Indeed, the counterfeiting agenda of them and their “angel of light” master includes UFOs. Rigorously exposing this agenda was Dr. David Allen Lewis with his landmark book, UFOs: End-Times Delusion. Dr. Lewis went to great paints to lecture and give interviews on the truth behind the Men in Black. Invited to President Reagan’s 1984 Inaugural ceremony, along with participation as an insider at Senate-hearing committees with involvement at the UN (the latter which includes two aliens in the definition of marriage) Dr. Lewis was well qualified to expose them. Having traveled to Israel 56 times and known BB Netanyahu as a very young man, my long-time friend and lecturing colleague, Dr. David Allen Lewis, would be rigorously writing a book, if he were alive today, on the UFO sightings over Jerusalem, as well as on the CERN holographs over Jerusalem projected by the Jordanian branch of CERN. And from a Christian viewpoint, Dr. Lewis would subscribe and appreciate, more than most, the non-CGI content of the honest Sky Watcher News Channel on YouTube, studying its playlist every day, located here – Click Here! Vigileaks has known the staff at Sky Watcher News for years and easily attests to their integrity. So much for the UFO dark side and those exposing them. How is it possible, one may ask, that UFOs may also be angelic and Christian and of Divine origin? Aren’t UFOs proprietary to the dark side? Doesn’t Satan have exclusive patents – while claiming all the best lawyers of hell to defend him? Included in his following 20th century accounts, Jay David presents an excellent chapter on Our Lady of Fatima and UFOs by Paul Thomas. What? 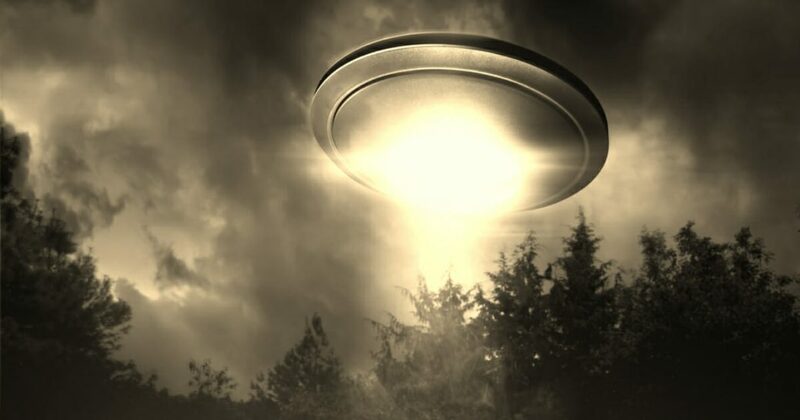 Both Protestants and Catholics share UFO insights? Could this be some hidden NWO UFO ecumenical agenda to unite for world government? No. In this case, it is just honest research. But how does the Rapture fit into all this? On the Protestant side, Hal Lindsey’s Late Great Planet Earth brought the Rapture into popular culture. Indeed, Lindsey’s phone number is 1-800-Rapture! Definitely a phone number of solid conviction. But shouldn’t true Catholics oppose the Rapture, on the grounds that a mass of Protestants defend it? After all, isn’t it like Catholic pop star Michael Voris said internationally, that “The Rapture is a Protestant fiction”? Not according to Catholic scholars John W. Tombler and Hubert J. Funk in their book, The Raptured. They boldly discuss not only the persecution of Christians who are not Raptured, the Anti-Pope who will head the world religion, and what will happen to Jewish people during the reign of Antichrist. They strongly defend the Rapture so comprehensively, it would seem another Catholic book on the subject isn’t needed. Of course, through it all, Satan will be jealous to the core that he didn’t get to go up; but remains confined to the Second Heaven, as the Bible shows, to continue his deceptions a few more years…. The Bill of Rights and FISA Courts Don't MixWhose got Some Charmin (R)?